How to pick the best sea views? You are looking for a unique property to make your stay in the Cinque Terre so special? Do you want to surprise your holiday mates with the best sea views of the riviera? Are you looking for the most stunning place to sip a glass of delicious Cinque Terre wine at sunset with your lover and promise your love forever? Cinque Terre Riviera can guide you to the choice of the best properties with the absolute sea views in the area: location, comforts, assistance. One of the most famous properties in Monterosso: here history and best views marry together to offer an elegant, exquisite and breathtaking retreat in the Cinque Terre. The Tower is considered one of the most beautiful Villas of the Cinque Terre for its position, overlooking the sea, vineyards and olive tree hills. This wonderful Villa is a Tower built in 1901 by a cousin of Eugenio Montale, famous Italian poet, journalist, music critic and 1975 Literature Nobel Prize. The property website will give you additional info and views. More on our website page. This is truly an historical landmark and one of the most exclusive rentals in Vernazza. It is a unique property where history and nature mingle to offer a memorable holiday in the Cinque Terre. Muìn a Véntu is the one of the two existing towers in Vernazza, but the only one that has authentic ancient origins and remains as it was in the past. It dates back to 1100 a.d.. You would have the unique privilege of living history with one of the best views in the world! La Casa del Gigante is an upscale luxury villa in the most exclusive location of Monterosso. This prestigious villa in Monterosso is part of the construction near the famous giant statue, Il Gigante. The Giant is the symbol of Monterosso village. An amazing Manarola sea view holiday apartment in a typical tower house in the most prominent and scenic part of Manarola village. The building dates back to XI century and it is made up by 4 floors, exclusively occupied by two apartments, charming La Lampara (developing on 2 upper floors) and Il Baluardo, (on the 2 lower floors). La Lampara terrace will give you rare emotions and feelings! Villa Tanca is an enchanting 5-bedroom private villa with amazing views and outdoors in Monterosso Old Village. It’s unique location over the village beach and main square makes this property the ideal solution for a comfortable and memorable stay in the Cinque Terre. Sheltered by the shade of the tress and the quiet of the woods, this luxurious destination was built to welcome those who seek to spend quality time with their loved ones. a marvellous 3-bedroom apartment in Vernazza, with stunning views and terrace right over the beach and the waves. Your stay at Unda de Ma will be magic and relaxing. The waves under your eyes will be the soundtrack of your holiday in Vernazza and the Cinque Terre. One of the cosiest and welcoming apartment in Vernazza village. Its lovely, tiny and secret terrace will offer you a unique sight from an unusual point of view. Romance won’t be missing! Ventegà is the property to book if you are looking for an unusual point of view of the Cinque Terre! 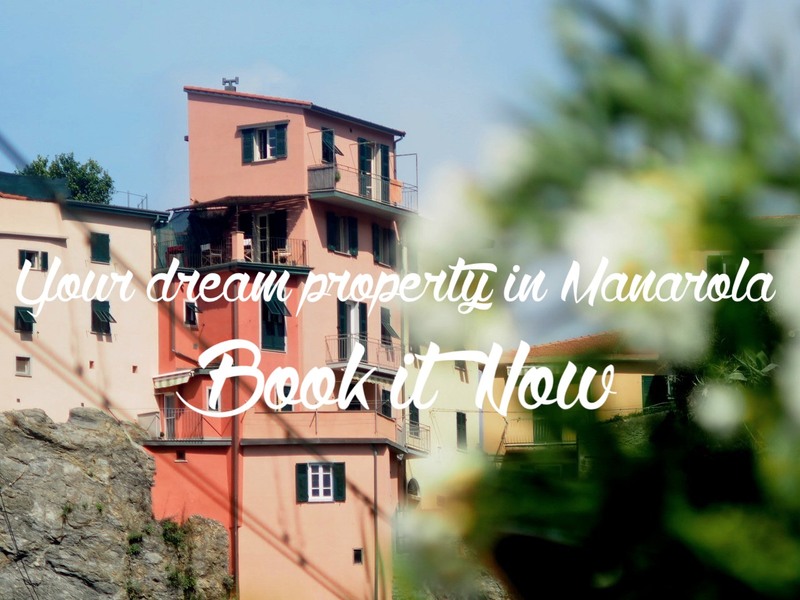 Exclusive and unique apartment in Manarola, a breathtaking property, one of the best sea views in the Cinque Terre area. Art is everywhere, every corner of this house speaks out the owner’s artistic flair and the property outdoor spaces offer unique views and moments of romance and relaxation. L’Artista is more than an apartment, even though it is not the sole property of the building, it occupies the entire upper part, two floors, and once there we have the feeling of inhabiting an independent villa. This gracious and spacious holiday apartment will offer its guests embracing and wide sea views. From its windows you will catch the bursting life of the of the famous main square of Vernazza Village. Waters and Monterosso in the distance will be a memorable setting for marvellous sunrises and sunsets. A typical village life property, Agretta gives a unique taste to our holidays! But there’s much more. Many other amazing sea view properties are waiting to welcome you in the Cinque Terre.